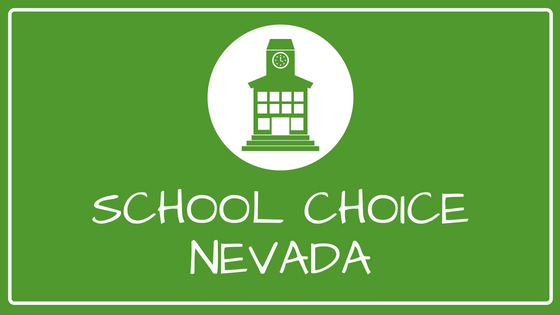 Click here to view the list of magnet schools registered with the Nevada Department of Education. The single largest form of public school “choice,” magnet schools are visionary, innovative and open to all students regardless of zip code. With approximately 4,500 schools educating more than 3.5 million students nationwide, each school typically focuses on individually themed curricula. It is the soft skills, however, of teamwork, acceptance, innovation and engagement that make magnet schools the vibrant environment it is for developing positive citizen children prepared for future careers and successful community engagement. This real-life preparation has students not only interacting with peers from all backgrounds, but with hands-on experience working with businesses, cultural institutions, universities and community organizations. Excellence in academic enrichment is the key to successful college admission as well as to career accomplishments. Magnet schools, however, also enrich students in ways that create a positive effect on the community at large. Through a more harmonious and healthy interaction to various cultures and socio-economic backgrounds, to developing a deeper understanding of community that comes from hands-on interaction with corporations, non-profits, cultural and academic institutions, students are exposed to a microcosm of the world at large, learning skills of interaction, team building and cooperation. This positive integration imparts life skills that reach well beyond the classroom. Students of every learning level end up using these experiences in their future pursuits of higher learning and in their work life. Magnet schools close the achievement gap, improve racial harmony and empower all students to reach their individual potential. Magnet Schools are founded on the five pillars of diversity, innovative curriculum and professional development, academic excellence, high quality instructional systems and family and community partnerships. The synergistic relationship of these five equally held tenets is not merely a foundation, but a compass moving our students/children forward to a well prepared future. Diversity is a cornerstone to offering students a global educational experience. Schools, through recruitment and lotteries, strive to have student populations that are reflective of the community. Culturally competent educational environments model empathy, respect, and working collaboratively with a variety of persons. Innovative Curriculum and Professional Development is developed to assure theme-based relevant instruction to students. Effective teaching strategies, emulating from best practices, are implemented through the inclusion of the school’s theme. Curriculum is based on high quality rigorous standards that prepare students for higher education and career success. Academic Excellence is demonstrated through a commitment to multi-dimensional instruction focused on student needs. Multiple assessment strategies are employed to monitor student learning, progress and success. High expectations are clearly articulated and personalized supports are in place to address the interests and aspirations of all students. In addition, positive peer support, an outgrowth of mixing middle-class and low-income students, has been instrumental in encouraging students to dream bigger and be more engaged in school. High Quality Instructional Systems are rooted in well-prepared, well-educated professional educators. Teachers and administrators who are student-centered, collaborative, and inquisitive prepare learners to be world ready, workforce ready, and higher education ready. Teacher and administrative development through MSA encourages networking, shared research and information and professional growth the benefits of which translate into an ever-evolving, ever-improving instructional system. Family and Community Partnerships are mutually beneficial, offer a system of support, shared ownership, and a caring spirit and are designed to enhance a theme integrated educational environment. Partnerships with parents are essential for a rich educational experience for students. Community partnerships include a diverse array of stakeholders including business, health and human services, and policy makers to support the education of all students and offer them a real-world view toward the future.